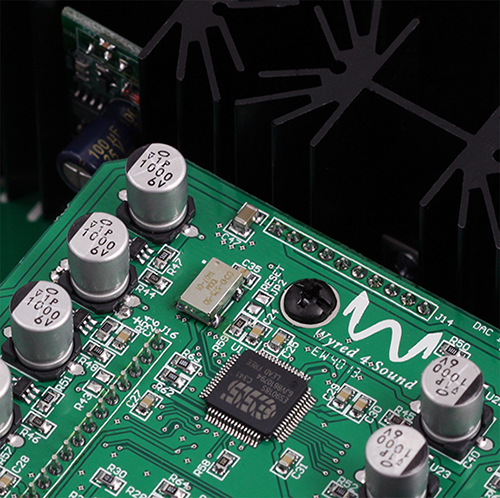 We now have an upgrade option to the internal clock for several of our DAC offerings. The DAC models which are compatible include the DAC-1, DAC-2, DAC-2 DSD and DAC-2 DSDse.Implementation of this component optimizes audio quality by lowering phase jitter by over 80% as well as greatly reducing phase noise in the digital circuit. Clocks of this grade are typically found in DAC's retailing for $5K or more! * Note: Any DAC-2 DSDse or DSDse upgrade that was purchased after March 10, 2014 already has this premium grade clock included. Purchase the upgrade by adding this item to your cart. Next, complete the order form and submit payment information. After receiving your order and payment information you will receive an email order confirmation with an order number on it. Pack your unit in the original factory packaging and write the sales order number clearly on the outside of the box. Include a copy of the sales order that was emailed to you inside the box. You do not need to include accessories such as the power cord, remote control, manual, etc. If you do not have the original packaging we can ship a complete set to you for a fee. After the unit is upgraded and fully tested it will be returned to you at the address provided on the order form. We will email a completed invoice and tracking number so you can follow the progress of your upgraded unit!